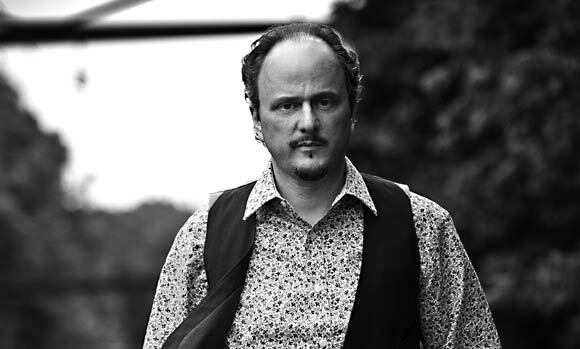 There are few words to describe how bad that floral print shirt is in combination with the bus driver's vest, but what does Jeffrey Eugenides care? After all, there are even fewer words to describe how good his writing is in combination with the short, to-the-point introductions of characters, cities and sports below. "Phileda’s hair was where her power resided. It was expensively set into a smooth dome, like a band shell for the presentation of that long-running act, her face." "Hygenically bald, with a seaman’s mustacheless white beard, Zipperstein favored French fisherman’s sweaters and wide wale corduroys." "Saunders was a seventy nine year old New Englander. He had a long horsey face, and a moist laugh that exposed his gaudy dental work." "The window gave onto a view of dove-gray roofs and balconies, each one containing the same cracked flowerpot and sleeping feline. It was as if the entire city of Paris had agreed to abide by a single understated taste. Each neighbor was doing his or her own to keep up the standards, which was difficult because the French ideal wasn’t clearly delineated like the neatness and greenness of American lawns, but more of a picturesque disrepair. It took courage to let things fall apart so beautifully." "There was something about tennis - its aristocratic rituals, the prim silence it enforced on its spectators, the pretentious insistence on saying “love” for zero and “deuce” for tied, the exclusivity of the court itself, where only two people were allowed to move freely, the palace-guard rigidity of the linesmen, and the slavish scurrying of the ball boys - that made it clearly a reproachable pastime."